What would the T-Mobile-Sprint merger mean for you? For the past four years, T-Mobile and Sprint have been trying to merge together. This past weekend, a full deal that both sides seem to be happy with finally came to fruition, making it look possible that we could see the merging of T-Mobile and Sprint sometime before the end of 2019. When companies as big as T-Mobile and Sprint talk about joining forces, it invariably causes some concern. Will the company be too big? Will it hurt the market? Will consumers benefit from the merger? What will it mean for the industry as a whole? While no one can accurately predict the answers to those questions, we know enough to make some assumptions that will likely be on the money. What we want to talk about here is how this potential merger could affect you, the wireless customer. It’s actually incredibly simple: Verizon and AT&T are both so much bigger than both Sprint and T-Mobile that the carriers are in two separate battles. Rather than one big fight with all four carriers going against each other, it’s really more like a fight between AT&T and Verizon at the top and a fight between T-Mobile and Sprint at the bottom. If Sprint and T-Mobile join forces to become one company, the fight will then be between three companies of similar size. This makes more sense from a business standpoint as it will give the T-Mobile-Sprint company a fair hand in the fight. Why has it taken four years? The wireless industry was far different four years ago than it is now. For one, T-Mobile was the fourth-largest carrier for a long time, and the original merger talks were about Sprint buying T-Mobile. However, mainly due to CEO John Legere’s “no B.S.” attitude and the Uncarrier changes made at T-Mobile, Sprint is now the fourth-largest carrier with T-Mobile in third. The first deal was squashed because the government under the Obama administration at the time thought T-Mobile’s competitive edge was good for the industry as a whole. In 2017, a new deal was offered where the companies would merge instead of T-Mobile ceding control to Sprint. This deal ultimately fell apart because T-Mobile wanted more control than Sprint was willing to give. 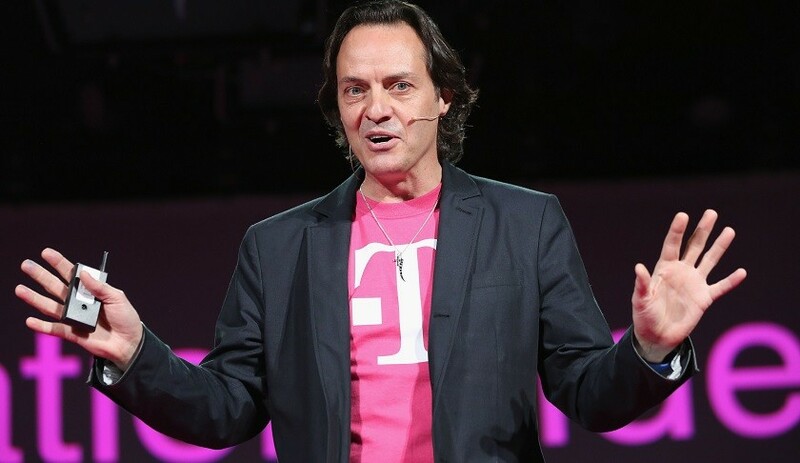 Now, this current deal gives most of the control of the merged company to John Legere and T-Mobile, which makes far more sense since T-Mobile is doing so much better than Sprint in so many ways. In fact, this proposed new company would merely be T-Mobile, with the Sprint brand dissolving away. Won’t three companies make less competition and thus cause prices to rise? Clearly, T-Mobile and Sprint don’t have a prayer against AT&T and Verizon. Outside of some sort of miracle neither Sprint nor T-Mobile would ever match the big dogs’ numbers. As you can see, you have three companies that are relatively the same size, giving T-Mobile the ability to maybe become the nation’s second-largest carrier. So rather than make the industry less competitive, things would actually get more competitive. Wouldn’t that cause monopolies like what we have with cable companies? The big difference between the wireless carriers and cable companies is that no wireless carrier has any large area of the United States monopolized. In the small city I live in, for example, we have one choice for cable/internet service: Comcast. That’s not just for my area of town; that’s the entire city. But I can get service from any of the four wireless carriers I choose. One company might be better for me than another, whether due to speed, reliability, or price. That competition is what keeps prices down and innovation up. The merger of Sprint and T-Mobile won’t change that. If anything, Verizon and AT&T will have to drastically alter their business plans because T-Mobile will suddenly be a much more potent threat to their subscriber counts. So at least at the beginning, this new deal wouldn’t cause monopolies; it would likely cause the opposite. What happens to my current T-Mobile or Sprint plan? Nothing. If this deal goes through (which is a big “if,” which we’ll get to in a minute), it will take years for things to change. The deal wouldn’t even be finalized until 2019, and T-Mobile estimates it would take about three years to migrate subscribers from the Sprint network to the T-Mobile network. T-Mobile, historically, has been pretty good about honoring grandfathered plans, at least for a certain amount of time. One can thus assume that your plan pricing and details at the onset of the merger would remain in effect until the merger is complete. What about my phone? Can I use it on both networks? Your phone may or may not work after the merger. Sprint is a CDMA network, and T-Mobile is GSM, and most phones can’t work on both networks. With a few exceptions, anyone with a Sprint phone will have to switch to a GSM phone once the merger is done. However, since this merger’s completion is years away, the phone you have in the future could be different from the phone you have today. I wouldn’t worry too much about it for now. What could stop this deal from going through? A few government organizations will have to sign off on the deal in order for it to become official. The wildly unpredictable Trump administration could go either way with this T-Mobile-Sprint merger. On the one hand, it is likely that the merger will cause the United States to lose a lot of jobs. After all, the newly formed T-Mobile won’t need two of every employee, so a lot of the Sprint personnel will likely be laid off. Trump doesn’t like the loss of jobs, so he might squash the deal on that ground alone. However, the merger could mean a boost for the rollout of 5G. Trump recently squashed the potential deal between Broadcom and Qualcomm, pretty much on the basis that American companies need to have a grip on future technology like 5G. Trump might hear that the new T-Mobile will be bringing the 5G heat and accept the deal. Ultimately, we have no idea what could happen. However, it’s clear that T-Mobile and Sprint wouldn’t have agreed to merge if they didn’t have a good idea that the deal would be approved. We’ll just have to wait and see. How will this affect 5G and future upgrades? According to both Sprint and T-Mobile, the combined company’s resources would enable a faster and more efficient 5G rollout. After all, if you take the work that T-Mobile has already done towards rolling out 5G and add it to what Sprint has already done, you get a big jump in progress. There’s also the question of spectrum ownership. In order to provide wireless service, companies have to lease spectrum from the government. T-Mobile owns some, and so does Sprint, but the merged company will own both collections. That means better coverage and better speeds across the board, even before the rollout of 5G. Once again, this will enable the new T-Mobile to better compete with Verizon and AT&T. If the companies are all more equal, won’t all three raise prices together? This is the big concern with the merger. Like I said, at first it will only be good for consumers as the new T-Mobile will be a force to be reckoned with. But after the dust settles, it could come to pass that new tiers of pricing get introduced by all three carriers surrounding 5G, and then the playing field is leveled. In other words, T-Mobile could announce a new 5G plan that is far more expensive than its current plan (premium service equals premium pricing). Verizon and AT&T would put out similar plans at similar price points, creating a new, higher tier of pricing. As 4G gets phased out, we all end up spending more money than we did before. The three companies continue to compete on pricing, but the prices never drop to the current level they are at now. How high those prices will be is anyone’s guess. But the question we should be asking is this: would that scenario not happen if things remained as they are today? I don’t really think so. I believe that no matter what, 5G service will be more expensive than 4G service is now, and for the first few years, we will all pay more. The question is, will you be paying Verizon and AT&T a lot of money for high-quality 5G service while paying T-Mobile or Sprint a bit less money for low-quality 5G service? Or, will you pay a more middle-ground higher pricing for high-quality 5G service with three companies of equal size competing? If you ask me, the latter option is better than the former. Other folks may not agree. We should find out in the next few months whether or not this deal will even be approved. If it gets accepted, it will be years before things start to take effect, so ultimately nothing changes. But looking forward, the wireless industry is only going to become more critical to our daily lives than it already is. Do you want four companies fighting it out where the two smallest don’t stand a chance against the two most prominent, or do you want three companies that could overtake one another at any moment? With something as important as our mobile data, I vote for the Big Three. Let us know in the comments which side of the fence you are on! NEXT: Family plans: Which carrier is the best for your family?